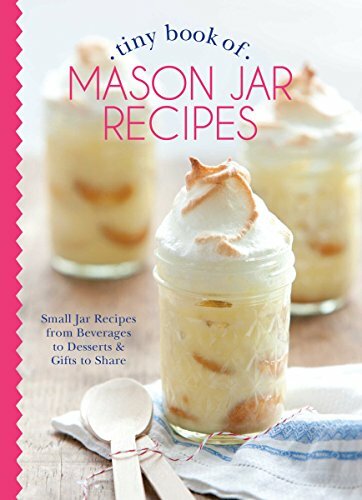 Who can resist a satisfying dessert in a mason jar? 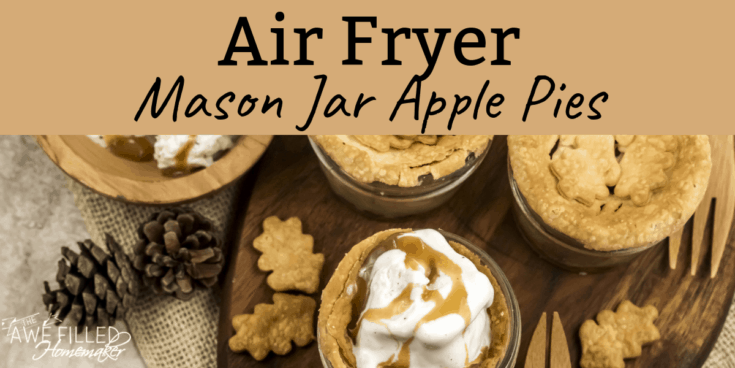 These Air Fryer Mason Jar Apple Pies are the perfect dessert to serve any time of year. 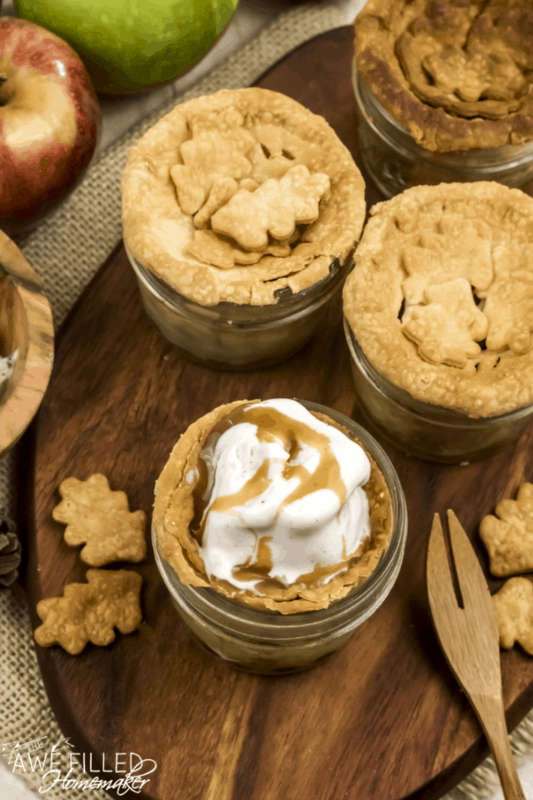 Personalized pies that are bursting with tender bits of apples that are spiced up with cinnamon and a flaky and buttery crust, these mason jar pies will be the highlight of the evening. Can you believe it’s already October?! 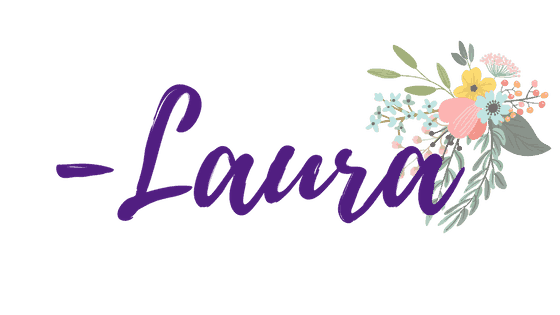 I can see those dark green leaves taking on fall colors! Apple orchards and pumpkin patches will now be on our agenda. Nothing beats hayrides on a crisp night, sipping on homemade apple cider, and of course, oversized sweaters to keep the cold temperature at bay. In our home, we love to mix Granny Smith with Gala apples to give our apple pie jars that added flavor. When these two apples are combined, you get that tart flavor from the Granny Smith and sweet taste from the Gala and both hold up well during the cooking process. Using both varieties is not necessary, you could use one variety of apple if you would like. The choice is yours. If you didn’t know, some apples don’t hold up well during the cooking process. I will share a handful of varieties of apples that you can use when baking in order to get the best outcome. These apples will hold up the best and give you that tender apple texture without getting all mushy. 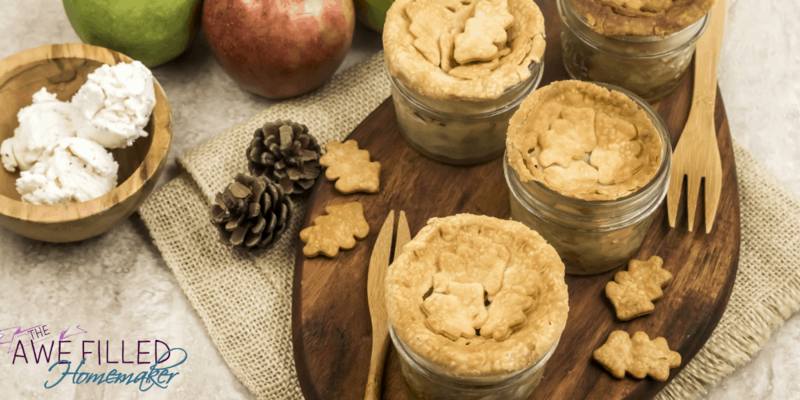 Apple pie in a jar is great as single serve desserts to the family, but also great for giving as gifts to loved ones. When the holidays roll around, these jars are a perfect way to show your kindness to your neighbors, coworkers, and friends. 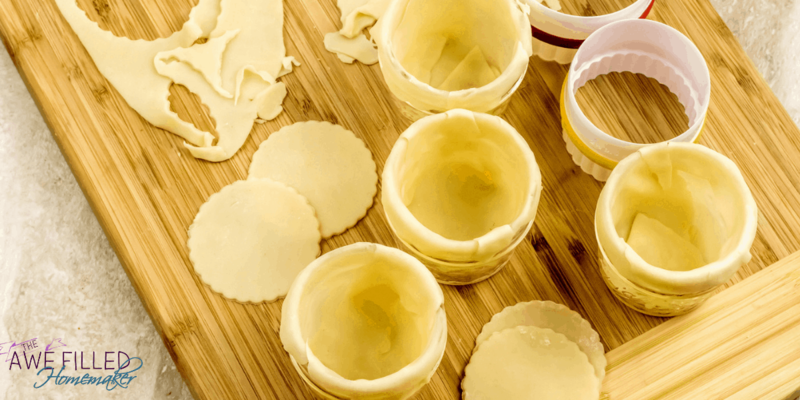 Make up a handful of these pies and use some ribbon to tie on a plastic spoon and give them a gift that shows you appreciate their friendship. Attach a handmade note and let them enjoy their delicious pie! 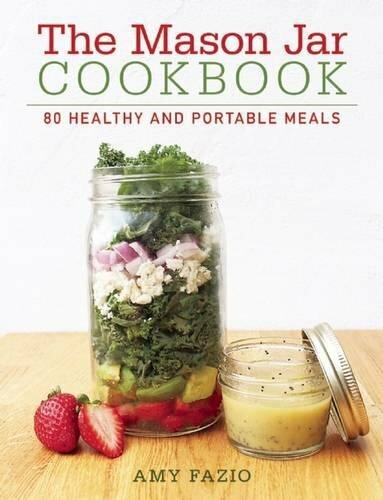 Proceed with caution when cooking with mason jars. A lot of times you will find the glass is not tempered for oven use. If the jars get too hot rapidly, they can shatter. 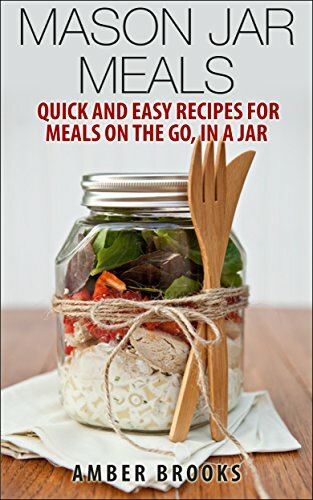 I have used mason jars in my Air Fryer and have had no trouble so far. It is something to be aware of. You can buy tempered glass jars to use for this as well. 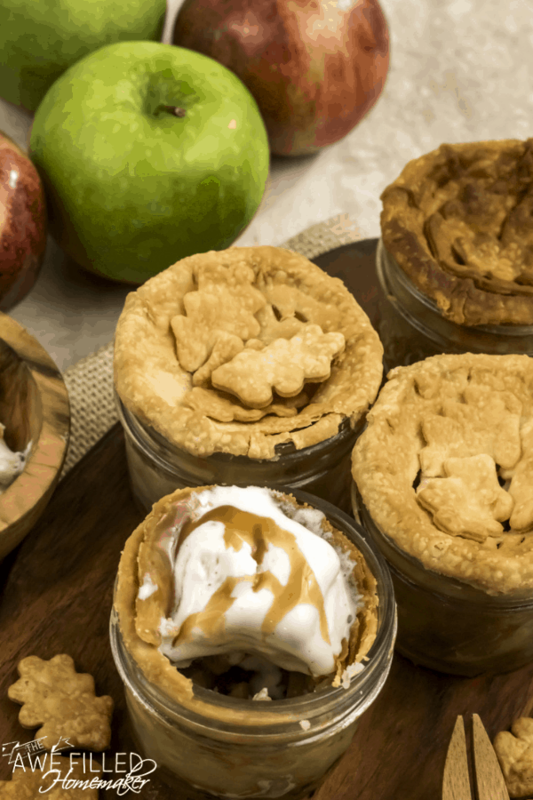 If you want to reheat an apple pie that was made in a mason jar, ensure that your jars have no metal. Most of the time the seal is metal. All you need to do is entirely remove that and heat. Some mason jars do have metal attached that can’t be removed, in which case those can’t be used in the microwave. 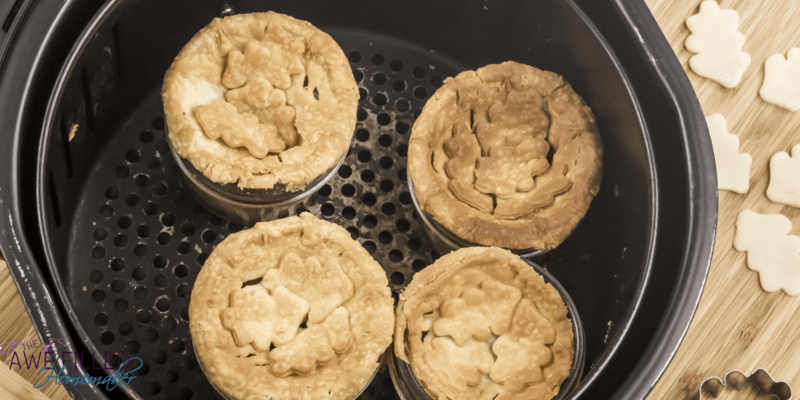 Have you tried cooking an apple pie in your Air Fryer yet? 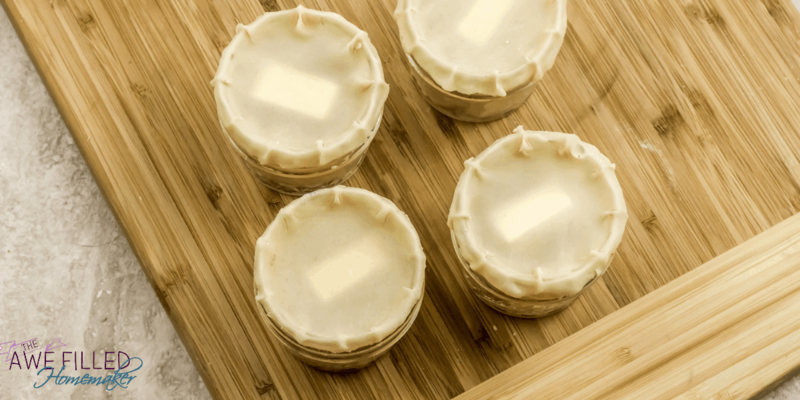 1) Unroll the pie crust and cut eight 8 (3 inch circle) and 4 (2 inch circle). 2) Grease 4 Mason Jars with melted butter. Slightly roll out the 3 inch circles to make them a little thinner. 3) Take the circles, and drape it on one side of a mason jar, pressing it firmly to the base and sides. Let a fair bit hang over the rim. Drape the other side with another circle. So for each Mason jar we use 2 (3 inch) circles. 4) Repeat with the remaining 3 jars. 5) Peel, core and chop the apples into small cubes. 8) Add about 2 tablespoon of the apple mix into the 4 prepared mason jars. 9) Top each jar with the 2 inch circle that we cut before. 10) Crimp the chip with edges with fork or do a fancy pleat. 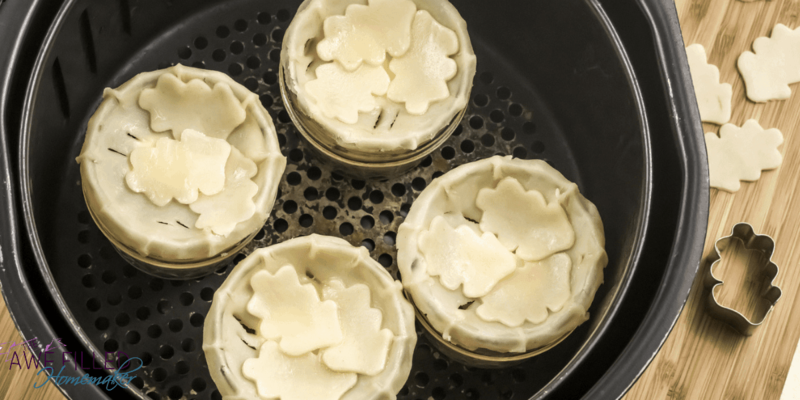 11) Optional Step: Using a cookie cutter, cut out fall leaves from the scrap dough and place a few on top of the prepared apple pie jars. 12) Brush the top with melted butter. 13) Place the 4 jars in the air fryer basket and air fry at 350 F for 12 minutes. 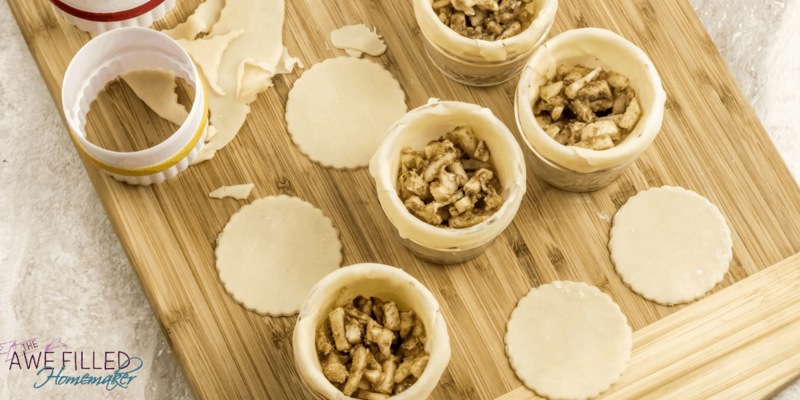 14) Meanwhile prepare the next 4 apple pie mason jars from the second roll of pie crust. 15) Once the air fryer beeps, let the jars cool in the basket for 5 to 10 minutes. They will be very hot Remove carefully. 16) Repeat with remaining jars. 17. Enjoy warm or cold with a scoop if ice-cream and a drizzle of caramel sauce. 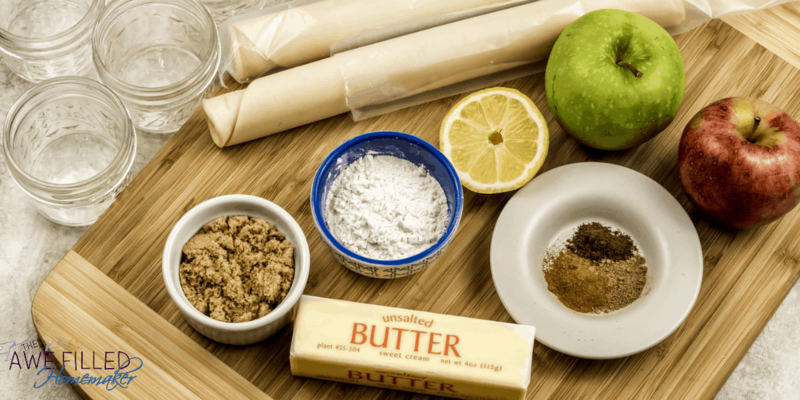 The best apple pie flavor comes from a mix of a tart and sweet apple. We love using a mix of tart Granny Smith and sweet Gala apples. You could do just one variety or use another baking apple variety like Honey Crip. 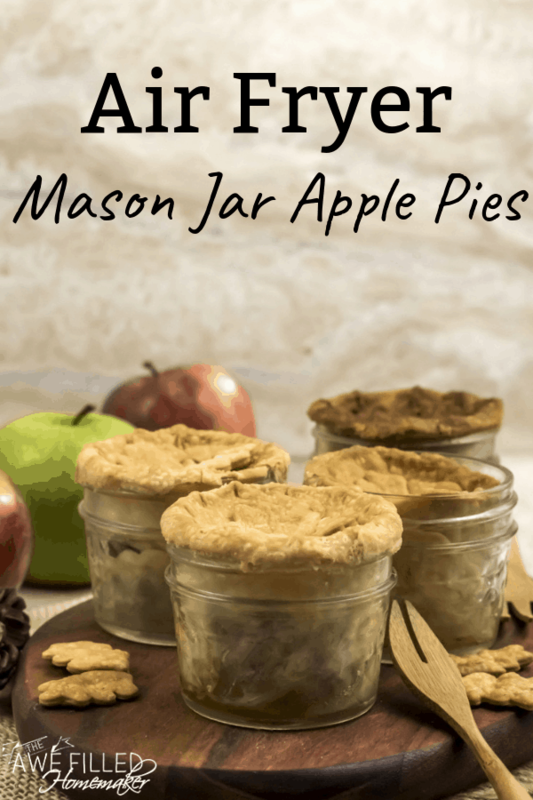 Personalized pies that are bursting with tender bits of apples that are spiced up with cinnamon and a flaky and buttery crust, these mason jar pies will be the highlight of the evening. 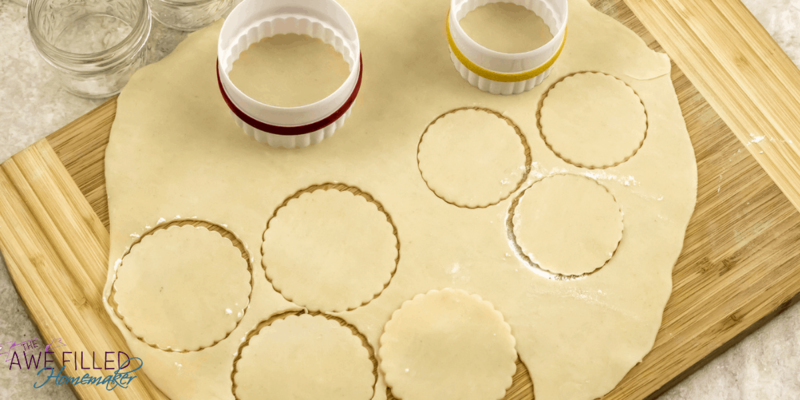 Unroll the pie crust and cut 8 (3 inch circle) and 4 (2 inch circle). Grease 4 Mason Jars with melted butter. Slightly roll out the 3 inch circles to make them a little thinner. Take the circles, and drape it on one side of a mason jar, pressing it firmly to the base and sides. Let a fair bit hang over the rim. Drape the other side with another circle. So for each Mason jar we use 2 (3 inch) circles. Repeat with the remaining 3 jars. Peel, core and chop the apples into small cubes. Add about 2 tablespoon of the apple mix into the 4 prepared mason jars. Top each jar with the 2 inch circle that we cut before. Crimp the chip with edges with fork or do a fancy pleat. 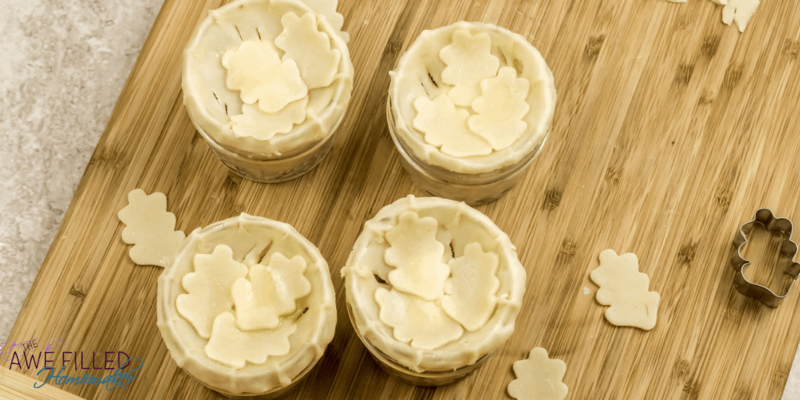 Optional Step: Using a cookie cutter, cut out fall leaves from the scrap dough and place a few on top of the prepared apple pie jars. Place the 4 jars in the air fryer basket and air fry at 350 F for 12 minutes. 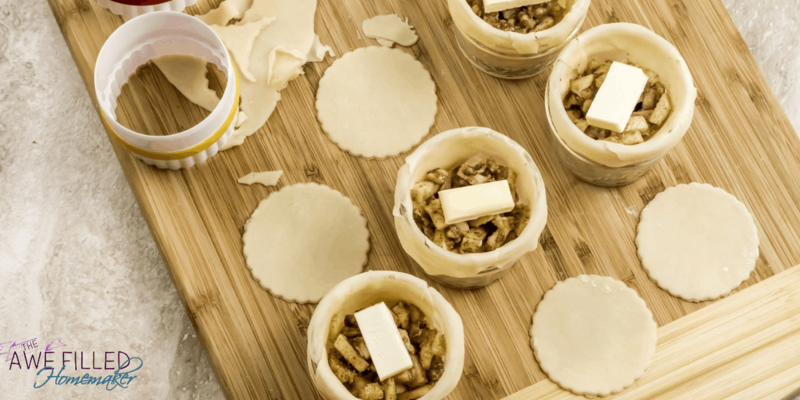 Meanwhile prepare the next 4 apple pie mason jars form the second roll of pie crust. Once the air fryer beeps, let the jars cool in the basket for 5 to 10 minutes. They will be very hot Remove carefully. 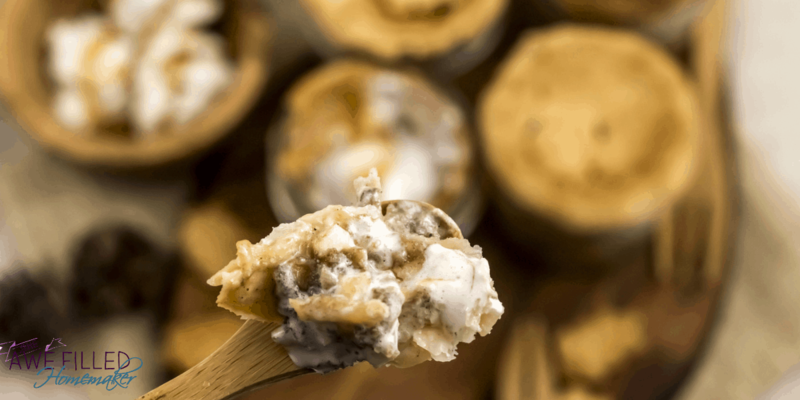 Enjoy warm or cold with a scoop if ice-cream and a drizzle of caramel sauce. 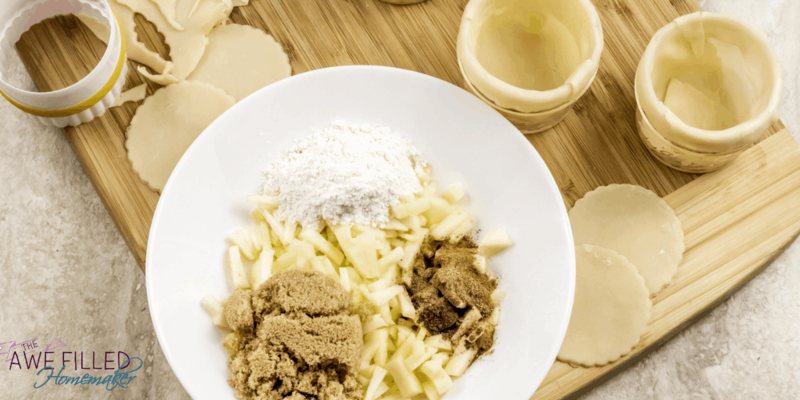 The best apple pie flavor comes from a mix of a tart and sweet apple. We love using a mix of tart Granny Smith and sweet Gala apples. You could do just one variety or use another baking apple variety like Honey Crisp.